Finding a decent entry-level gaming laptop can prove to be an arduous task primarily due to two reasons i.e. the paucity of good options and the budget constraints that severely limit the hardware choice. 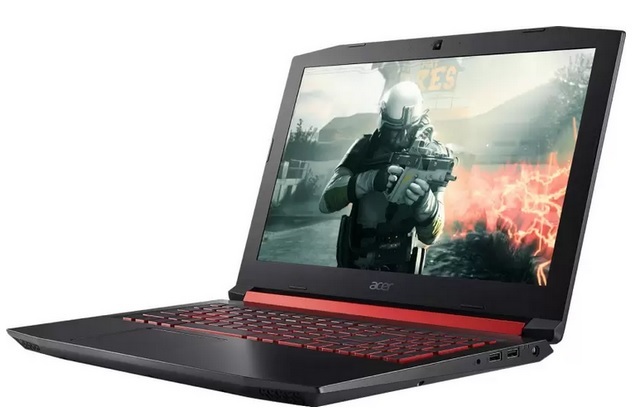 But a gaming laptop doesn’t always have to cost a bomb, case in point the Acer Nitro 5 gaming laptop which is currently available at just Rs. 55,990 on Flipkart, its lowest price ever on the e-commerce platform. The Acer Nitro 5 features a brushed metallic finish on its lid as well as interiors, paired with a backlit keyboard and red accents on the grill to go with its gaming identity. The Acer Nitro 5 comes equipped with a 15.6-inch FullHD LED IPS display which is paired with stereo speakers, Acer’s True Harmony audio technology and Dolby Audio Premium sound enhancement system to provide an immersive audio-visual experience. Under the hood, the device comes equipped with the 7th Gen Intel Core i5 (7300HQ) processor clocked at 2.5GHz with a turbo boost speed of 3.5 GHz, paired with 8GB of DDR4 RAM which can be expanded up to 32GB. Graphics performance is handled by an NVIDIA Geforce GTX 1050 GPU with 2GB of dedicated GDDR5 graphics memory for a smooth gaming performance. As for storage, the Acer Nitro 5 offers 1TB of HDD and 128GB of SSD storage, which is quite unheard of in an entry-level laptop which costs just Rs. 55,990. The device boots 64-bit Windows 10 and is equipped with a 4 cell battery which is rated to deliver 7 hours of screen on time. You can further bring down the Acer Nitro 5’s price by up to Rs. 10,000 by availing the exchange offer, and can also get an additional 5% discount for purchase made using an Axis Bank Buzz credit card.